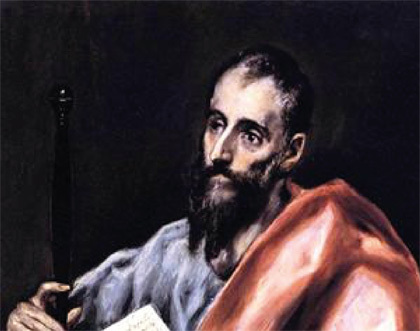 St. Paul, was probably born ten years later than Jesus. The place of his birth was Tarsus, a cosmopolitan city in southern Turkey. He was a Jew and a ‘Roman Citizen’, meaning that he spoke ‘Koine’ Greek, the household language of all educated citizens throughout the Roman empire. Well-educated, he was sent in his late teens to Jerusalem to be instructed in Judaism under the guidance of the eminent Rabbi Gamaliel. 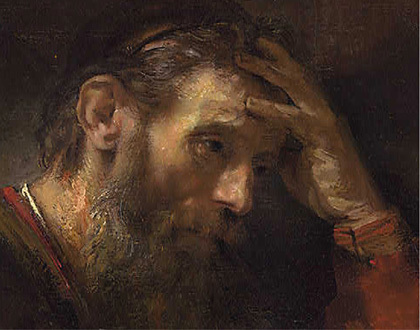 Paul, then known as Saul, became a respected Pharisee and understood the danger of the new movement arising from Jesus. He gave himself to eliminating it. 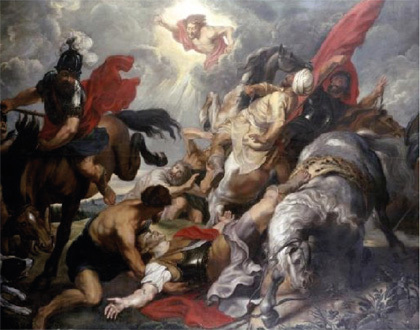 While journeying to Damascus, he had an overwhelming experience which rendered him a powerful advocate of Christianity. He took the faith from out of its Jewish confines and planted it within the non-Jewish world. 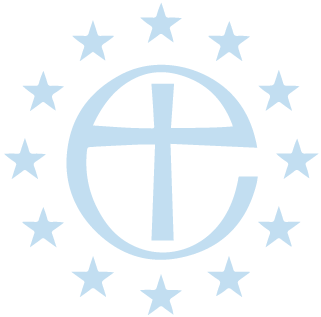 Travelling extensively, he came to Greece, planting churches in Philippi, Thessalonica, Athens, Loutro Elenis and Corinth and is known to have visited Veroia and Crete. He financed himself by being a tent maker. 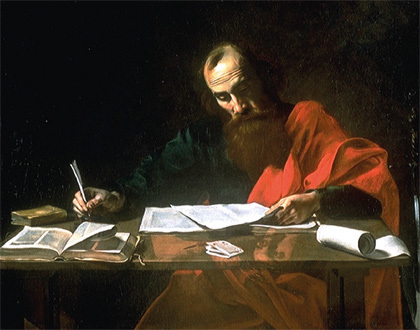 Paul kept in contact with the churches he planted by writing letters, some of which are in the New Testament. They are not carefully planned theological treatises, but speedily written missives addressing special circumstances arising in a church. Passionate, sometimes fiery and tempestuous, they were dictated at speed to a scribe. They are ‘applied Christianity’ rather than ‘systematic theology’. Nevertheless, they reveal the genius that lies in Paul’s thinking, and as such have been studied by the Church down the ages. 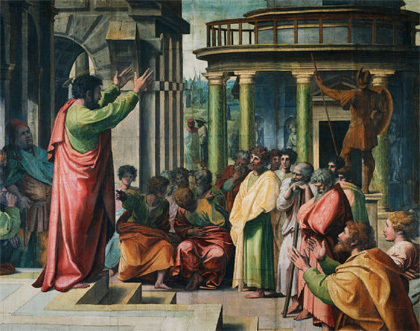 Paul’s first letter to the Thessalonians is probably the earliest piece of literature in the New Testament, written in 50 AD. (detail) by Rafael, 1515, Royal Collection, United Kingdom. 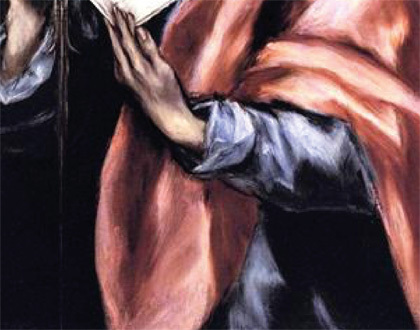 (detail) by El Greco c. 1612, Museo del Greco, Toledo, Spain. (detail) by Rembrandt Harmensz van Rijn, c. 1657, National Gallery of Art, Washington D.C., USA. by Peter Paul Rubens, 1620. The painting is missing or lost. Attributed to Valentin de Boulogne, c. 1618, Museum of Fine Arts, Houston (Texas), USA.